← A Vote to Save Our Marshes! 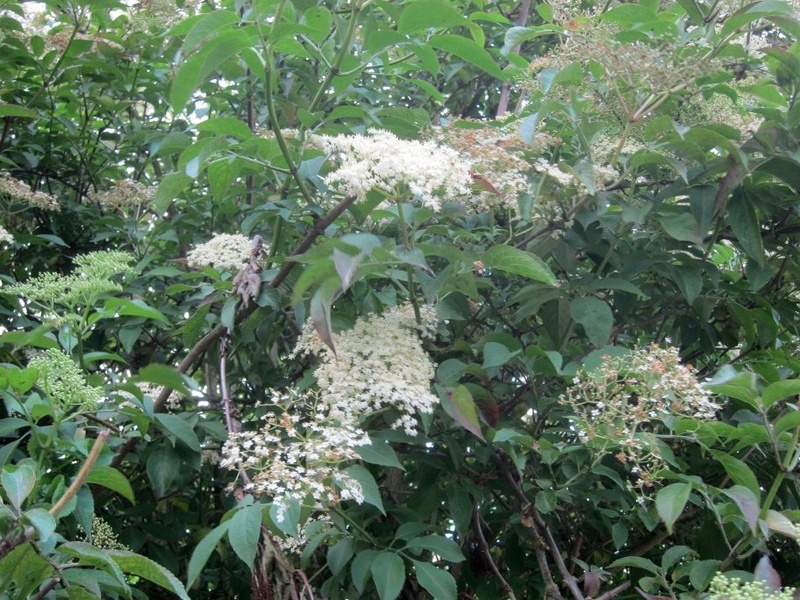 So our Edible Plant of the Day today is…Elderflower which is in plentiful abundance all over the marshes right now. The elder tree in the past was known as ‘the poor man’s pharmacy’ due to its abundance and renowned medicinal properties. Whilst the leaves,bark and stems are poisonous and should not be eaten, both the flowers which appear in early summer and the berries, which appear in early autumn, are full of goodness. Today you can buy expensive and delicious elderflower drinks, but did you know that you can make your own? Place the sugar into a large saucepan/stockpot or a large Pyrex bowl. Pour the boiling water over and stir until all the sugar has dissolved and leave to cool. Grate the rind of the lemons with a fine grater, add to the sugar water. Slice the lemons into thick slices and add to the water. Add the citric acid and stir, then finally add the flower heads to the water and stir again. Strain through clean fine muslin cloth into a clean bowl. Using a funnel, fill sterilized bottles (see note below). Seal and store in a cool, dark place (not the refrigerator) for a few weeks or freeze in plastic bottles to keep for longer (see note below). The cordial is delicious diluted with still or fizzy water or used as a flavouring in ice creams, fruit fools and many, many other recipes using Elderflower Cordial. Note To sterilize the bottles , rinse in the dishwasher, or place in a medium hot oven (300°F/150°C) until the bottles are warmed through but not red-hot. This entry was posted in Lea Marshes and tagged edible plants, Elderflower cordial, foraging. Bookmark the permalink.